One thing to know about me-- I love a cheap getaway. Living in Abu Dhabi allows you access to many beautiful hotels and resorts-- making it easy to enjoy a fun stay-cation. If you're visiting the UAE and feel up for a little adventure-- you can indulge in a mini getaway too. You can stick around Abu Dhabi, take a short trip to Dubai, or venture a little further North (like we did) to Ras al-Khaimah. With a little one on the way, I’ve done my best to enjoy as much fun and alone time with the husband as I can before my whole world changes. 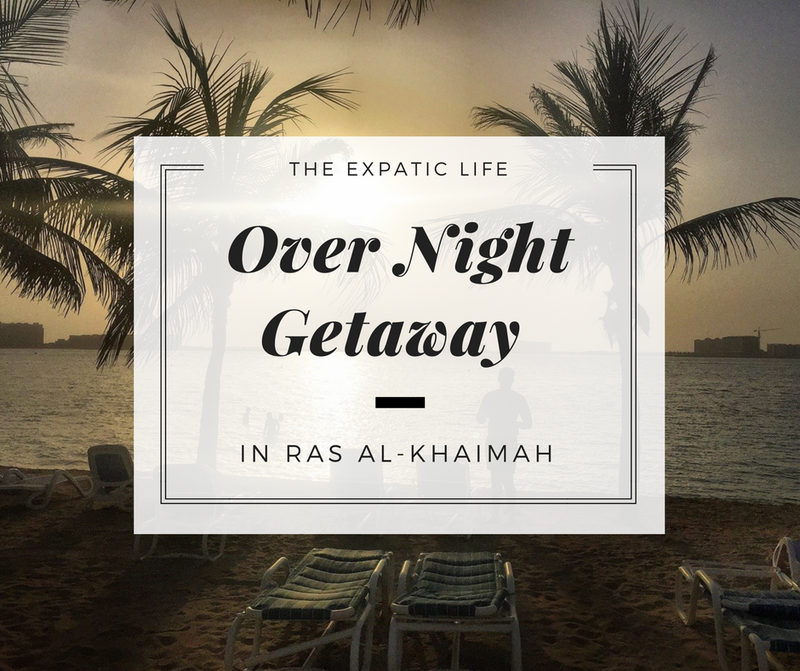 We found a great deal through a Facebook ad (I guess they really do know how to target their audience) on an overnight stay at an all-inclusive resort in Ras al-Khaimah -- all food and beverages were included. It was perfect for us since I was too far along in my pregnancy to comfortably fly anywhere to get out of the city. You could enjoy a few days at the resort if you so choose, but we just opted for the one night. It was on a lovely beach and had one of our favorite features of any hotel or resort-- a swim up bar. On this trip I got to enjoy being in the pool and drinking fresh juices while my husband enjoyed the cocktails. One thing to keep in mind when finding a good travel deal in the UAE outside of Abu Dhabi and Dubai-- the resort may not be as luxurious as you would expect. We did not mind this as we prefer a more casual atmosphere with no dress codes. 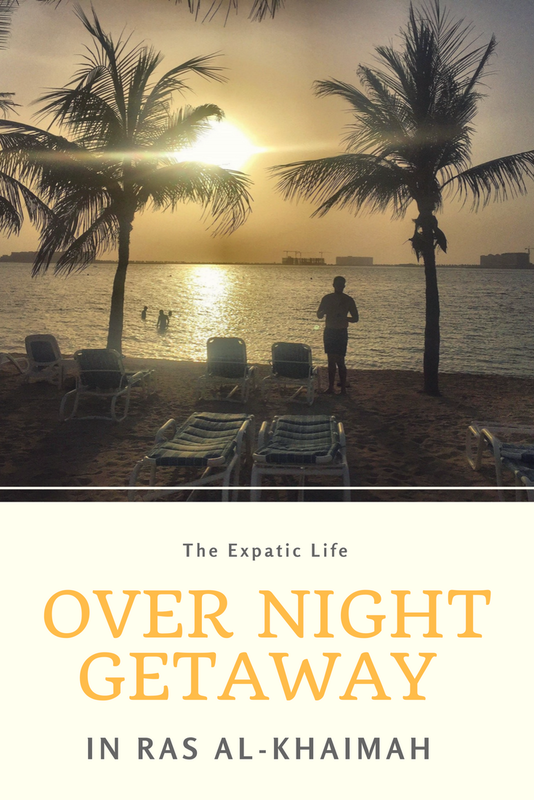 A stay at any resort in the Emirates has the feel and the fun of a relaxing tropical vacation (one of the many perks of living here). Whether you live in the UAE or just here for a visit-- don’t forget there are more Emirates to see than Abu Dhabi and Dubai. You’ll probably end up saving yourself some dough and enjoy a less crowded vacation spot. You’re also likely to see camels roaming on your drive through the desert too. Sounds like fun! It is a beautiful place! It's great that you have this opportunity to take advantage of cheap local getaways - places that other pay a lot to get to. Most people don't have that opportunity. Good that you are taking advantage of it. OMG, If I just, would love to go for a holiday!! UAE looks like a fabulous place to visit! A trip through the Middle East just might have to be my next vacation. It is wonderful to find these gem locations! I've visited UAE many years ago and was blown away. I want to visit the UAE one day. It is on my bucket list. This place sounds amazing! Looks beautiful! Thanks so much for sharing!